Southampton scientists and doctors are set to receive a multi-million pound cash injection from Cancer Research UK to fund ground-breaking work in the city. As well as supporting its world-renowned research in immunology and immunotherapy, the Centre will use this money to accelerate work on understanding the biology of and improving treatments for non-Hodgkin lymphoma, bladder and breast cancer. 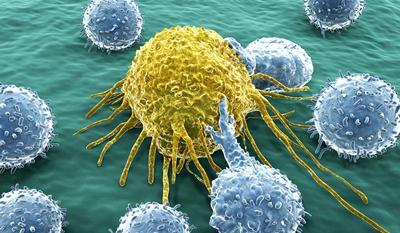 It will also help build upon its existing strength in cancer surgery. The Centre also aims to be a world-leader in developing treatments tailored to individual patients’ cancers based on their tumour’s specific genetic make-up, with an aim to improve their outlook. A key part of the funding will involve training the next generation of cancer researchers - including 15 PhD students - to ensure that the brightest scientists are attracted and supported in their career in cancer research. In addition, a further grant of £1.5 million is planned for the city’s Experimental Cancer Medicine Centre (ECMC)**, from Cancer Research UK and the National Institute for Health Research. This will help give people with cancer access to cutting-edge treatments by testing new ways of detecting and monitoring the disease and how it responds to treatment through early phase clinical trials. Professor Peter Johnson, of the University of Southampton and Cancer Research UK’s chief clinician who leads the Cancer Research UK Southampton Centre, said the funding announcement confirms the city’s role as a world-leader in cancer research and would help attract experts from around the world to work in the city. 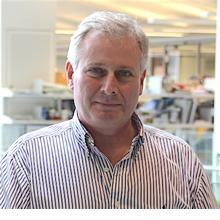 He said: “This new round of investment from Cancer Research UK is very welcome, especially because the funds allocated will help us to recruit more leading cancer immunology specialists from around the world, who will help maintain Southampton’s position as one of Cancer Research UK’s flagship centres. Southampton was chosen, by an international panel of experts, as one of just 13 locations in the UK to secure funding in the latest review of the Cancer Research UK Centres network of excellence and one of just 18 Experimental Cancer Medicine Centres (ECMCs). 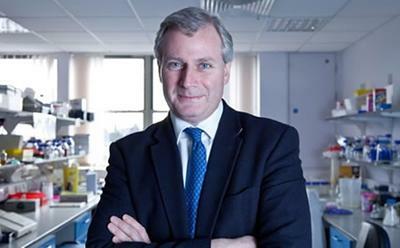 Professor Johnson added: “Together, these Centres accelerate the discovery and development of better treatments for cancer patients in Southampton and beyond. “This investment means we will be able to advance our work in developing new cancer drugs – getting discoveries from the laboratory to clinical trials in patients and learning as much as possible from our patients to initiate new research. Tony Williams, Professor of Translational Medicine of the University of Southampton and director of Southampton ECMC, said: “The investment in experimental cancer medicine is critical to our ability to evaluate new treatments that may offer improved therapies of the future. 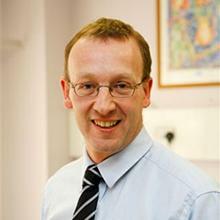 Dr Anthony Williams is Reader in Clinical Immunology and Allergy within Medicine at the University of Southampton. *The Cancer Research UK Centres are: Cancer Research UK Barts Centre; Cancer Research UK Birmingham Centre; Cancer Research UK Cambridge Centre; Cancer Research UK Edinburgh Centre; Cancer Research UK Glasgow Centre; Cancer Research UK Imperial Centre; Cancer Research UK ICR Centre; Cancer Research UK KHP Centre; Cancer Research UK Manchester Centre; Cancer Research UK Newcastle Centre; Cancer Research UK Oxford Centre; Cancer Research UK Newcastle Centre; Cancer Research UK UCL Centre. **Approximation based on annual average figure of around 47,200 cases of all cancers (excluding non-melanoma skin cancer) diagnosed between 2012-2014 in the South East Region. *** The ECMCs are: Barts ECMC; Belfast ECMC; Birmingham ECMC; Cambridge ECMC; Cardiff ECMC; Edinburgh ECMC; Glasgow ECMC; ICR ECMC; Imperial ECMC; KHP ECMC; Leicester ECMC; Liverpool ECMC; Manchester ECMC; Newcastle ECMC; Oxford ECMC; Sheffield ECMC; Newcastle ECMC; UCL ECMC; and a Paediatric ECMC network.